Organic acids are organic compounds that have carboxyl groups. Organic acids can be classified by type of carbon chain (Aliphatic, Alicyclic, Aromatic, or heterocyclic), saturation, substitution, and a number of functional groups. Organic acid is a type of organic compound that usually has acidic properties. Usually organic acids are called carboxy acids, commonly known as weak acids and do not fully dissociate in media like water, unlike strong minerals. The simplest form we can encounter from organic acids is acetate and form, it is commonly used in the treatment of corrosion stimulation for gas and oil, since it is less reactive than hydrochloric acid and other strong acids. The acidity of an organic compound is determined by the pKa value of the compound. The smaller the pKa value inorganic compounds, the higher the acidity. Organic acids are widely used in food industry, chemical industry, and pharmaceutical industry. Organic acids are used as acidification materials, antimicrobial additives, flavored developers in beer and whiskey. as well as preservatives.Small amounts of organic acids are present in plants as intermediate compounds in metabolism. Some examples of organic acids found in food are malic acid, lactic acid, fumaric acid, pyroglutamic acid oxalic acid. Ascorbic acid, citric acid and tartaric acid. 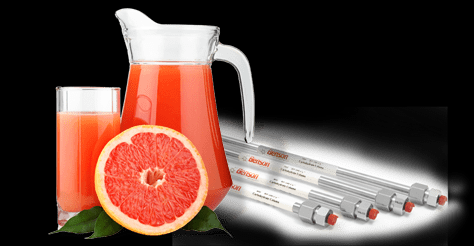 Analysis of organic acids can be done by titration, but the way titration can only determine the total organic acid while in fruits there are many organic acids. Another better method of analysis for organic acid analysis is by using chromatography. Chromatography is an analytical method that uses 2 phases (stationary and phase phases) to separate a series of chemical compounds. This technique can be done with thin layer chromatography, liquid chromatography, and gas chromatography. Excess analysis by chromatography compared with titration is the number of samples needed less and can analyze various types of organic acids. Many reported for organic acid analysis. The HPLC technique is distinguished from the normal phase (using nonpolar solvents as the mobile phase), reversed phase (using polar solvent as the mobile phase) and ion exchanger (using ion concentration gradient in its mobile phase). Organic acids are acids derived from living things. This acid can be obtained naturally from animals and plants. Along with the development of chemistry, chemists can then create various types of acids from various mineral materials. Acid derived from minerals is called mineral acids. Inorganic acids can also be called mineral acids. The characteristics of inorganic acid are not containing carbon atoms. Organic acid is a chemical compound of a group of fatty acids having a pH below 7 or acidic. However, in terms of animal feed more specified again the function that the use of organic acids aims to preserve feed (feed preservation) and control the pH of the digestive tract (acidifier). Acids contained in various fruits and vegetables, belong to the acid that is not harmful to our body. However, many of the various acids are very dangerous if exposed to our body, because it can damage the skin. Therefore, never taste the acid if it is not known the acid is safe or not.